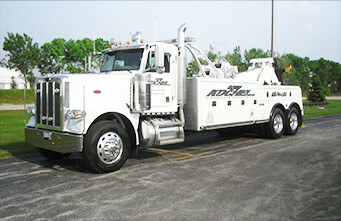 Chicagoland's Number One for Towing, Recovery and Commercial Vehicle Repair. We are a multi-city towing, recovery, and commercial vehicle repair company serving Will County and beyond for over five decades. 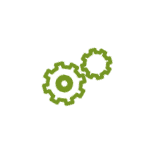 From Joliet, Crest Hill, New Lenox, and beyond, Wes Kochel provides motorists with fast solutions to their unplanned contingencies. At Wes Kochel, we understand that when it comes to roadside assistance, accident recovery, or commercial vehicle repairs, you have options. Still private motorists, insurance companies and law enforcement officials, choose us for these services and that's because we are reliable, convenient, and experts at what we do. Since 1960, we have maintained an unyielding commitment to professionally serving our clients; A level of service and commitment we do not intend on changing anytime soon. Our well-maintained fleet of light duty and heavy duty tow trucks are equipped to accommodate a slew of roadside malfunctions. Whether you're on I-80, I-55, I-57 or beyond, our tow operators will be there to your rescue. We will even pull you off of any side street or back road. We carry a reputation throughout Chicagoland for fast and quick-turn around towing. With our long-distance towing option, we have been voted Illinois's best-choice for convenient towing. If you're out there, we will find you. We offer 24 hour service so call us at anytime. Stranded and need a tow? Call and speak with a dispatcher now: 708-534-8477. Heavy Duty Towing When you need your heavy-duty equipment hauled, leave it to the experts. When it’s called for, we roll out the big trucks and heavy-equipment to get you on your way. Medium and Light-Duty Towing We’re Will County’s most reliable towing company. 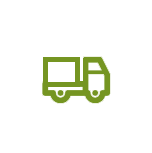 Our fleet is well-maintained and our operators trained to safely transport you and or your vehicle from one location to the next. Incident Management From site clean ups to traffic management, local authorities make us their number-one choice to get the job done. Family-owned and operated since 1960, Wes Kochel Towing is a family owned and operated towing company, lifting the standards for exceptional customer service throughout Chicagoland for the past five decades. We are industry leaders for road-side safety and reliability. And are also skilled artisans when it comes to repairing and maintaining your commercial vehicle. While intense safety measures are always carried out at Wes Kochel, we always place the customer's needs first. Our trained and licensed tow operators respond to every service call with a sense of urgency, ensuring that our customers and their property will be treated with the utmost care. We are proud to say that our team of service operators lead the industry in cutting-edge training, and each operator is thoroughly trained in safety and incident management. Dispatch operators are trained to properly assess every situation, and are skilled in applying logistics management for accurately pinpointing the customer location, rapidly routing the driver's vehicle, and utilizing clean and top-performance equipment to meet client needs. All towing operators are familiarized with the Will County region and neighboring localities wherein we provide service. When your vehicle is towed to our facility, our repair technicians are trained to perform accurate diagnostics on your vehicles, and can repair your vehicle for a low and affordable cost. Licensed and bonded, when you break down or need a tow, we are already on the way. Just look out for the big white or red trucks! When searching for a tow company to get the job done, make us your first choice! We're available 24/7 to respond to your emergency towing needs. Call and speak with a dispatcher now: 708-534-8477. From light duty towing to heavy duty towing, Wes Kochel has got the right equipment to meet your last minute demands. Have heavy equipment that needs to be hauled? When the big jobs need to get done, we pull out the right machines. 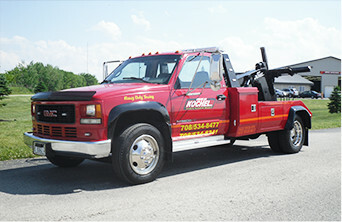 Wes Kochel Towing maintains the title as Will County's Towing Experts, and for a good reason too. From efficient and damage-free heavy-duty towing, our operators work together as a team to better serve you. Stuck in a ditch? Don't worry. We provide winch outs, and can safely get your vehicle back on the road without any further damage. In some situations, Flat Bed Towing is the best option. Especially for sporty or vintage vehicles. When your prized automobile needs to be towed to a service station, you can call us. The unexpected breakdown or tire blow out happens. Sometimes when we least expect it too. When it does happen, know that Wes Kochel will be there to meet you on any major highway or side street and to get you up and running again. With a growing fleet of trucks, and coverage throughout Will County and beyond, we're always on our way to you. 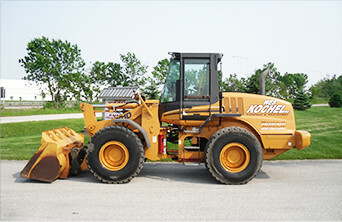 One of our motto's at Wes Kochel is “No job too big or too small!” For over five decades, we have maintained a reputation throughout Will County as the best recovery company in the region; rendering efficient and damage-free work. From site clean ups to traffic management, local authorities make us their number-one choice to get the job done. When compliance within your residential or commercial lot is a priority, count on Wes Kochel to ensure that residents and guests are following protocol. What makes Wes Kochel unique is our years of experience with all matters of parking issues that are specific to single family homes, condominiums, apartment communities, and commercial properties. Don't wait until your commercial vehicle breaks down to get it serviced. Your commercial vehicle is an investment and you should protect it by keeping up with regular maintenance. From regular oil changes, to brake inspections, and tune ups, it is important that your commercial vehicle receives regular mechanic shop visits. Select Wes Kochel for your vehicle's next maintenance service. We conduct regular maintenance and repair services for commercial vehicles, trailers, and heavy duty equipment. Tour our expanding fleet of equipment. At Wes Kochel, we always keep the latest and most reliable equipment within our reach. This way we are always prepared to respond to your call. 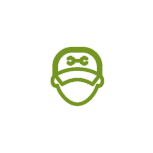 Our operators are experts at their job and best of all, they love what they do. No job is too big or small. When you need a tow, just call: 708-534-8477. Stuck in a ditch and need a tow? Vehicle broke down on roadside? Over-sized equipment needs to be hauled? Where ever you are throughout Will County, Call Wes Kochel: 708-534-8477.